Due to working hours, sometimes we are unable to answer the phone immediately, however we will call you back, the latest in the evening of the same day (excluding the weekend). Please visit our offices from Monday to Friday 10 to 8.p.m please make prior appointment. 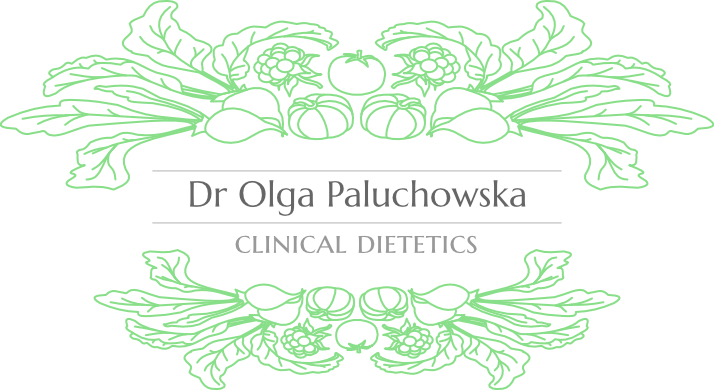 Since 1st of March, 2016, the Dietetic Office Dr Olga Paluchowska at the Medical and Dental Clinic at 3a Doctor Jozef Geisler Street in Otwock has been transferred to 14 London Street, number 25, Saska Kepa, Warsaw.